This season has been a mixed one for German giants Bayern Munich. As expected they dominated the Bundesliga, wrapping up the title with several games to spare. Further afield in the Champions League, they battled but ultimately fell short to Real Madrid at the Semi-final stage, another in a string of knockout disappointments over recent seasons. However, one thing which has always been true of Bayern is that they wear great shirts. Year-on-year their work with long-term partners adidas is a joy to behold, and the new home shirt looks like one of their best yet. A shirt that matches the quality of the team. Image by adidas. A subtle, mountain-like diamond graphic adorns the whole shirt (even carrying over to the sleeves too! ), in a look which shares ideas with the celebrated new Germany away kit, also by adidas. 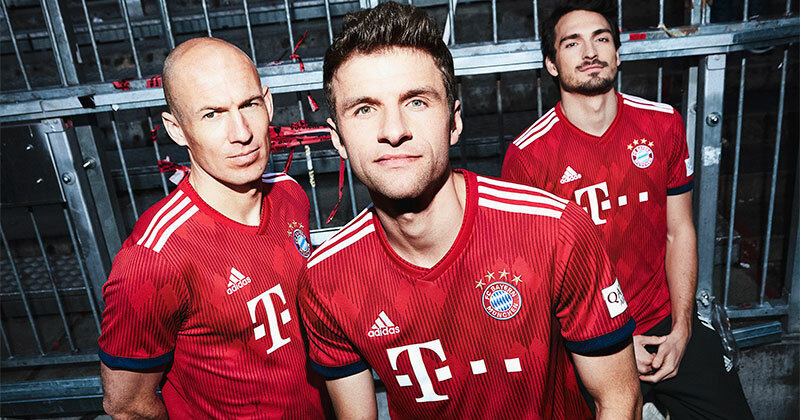 We’re still very early into kit release season, but I would expect Bayern to be turning out in one of the best kits of any team come opening day. 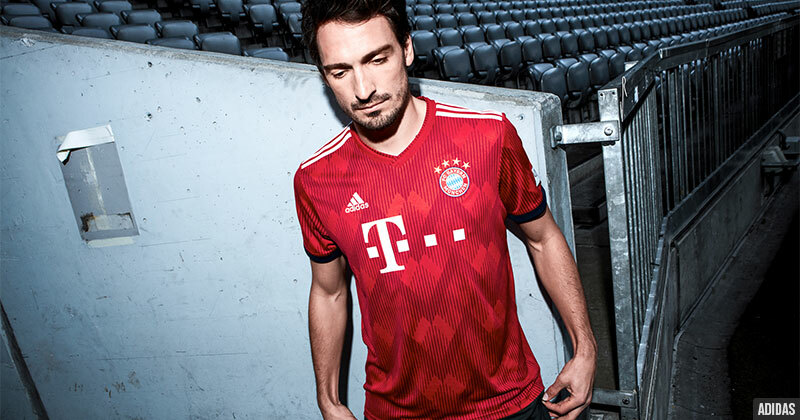 To find the best price on the new Bayern Munich home shirt, keep it here at FOOTY.COM. Play more, pay less.